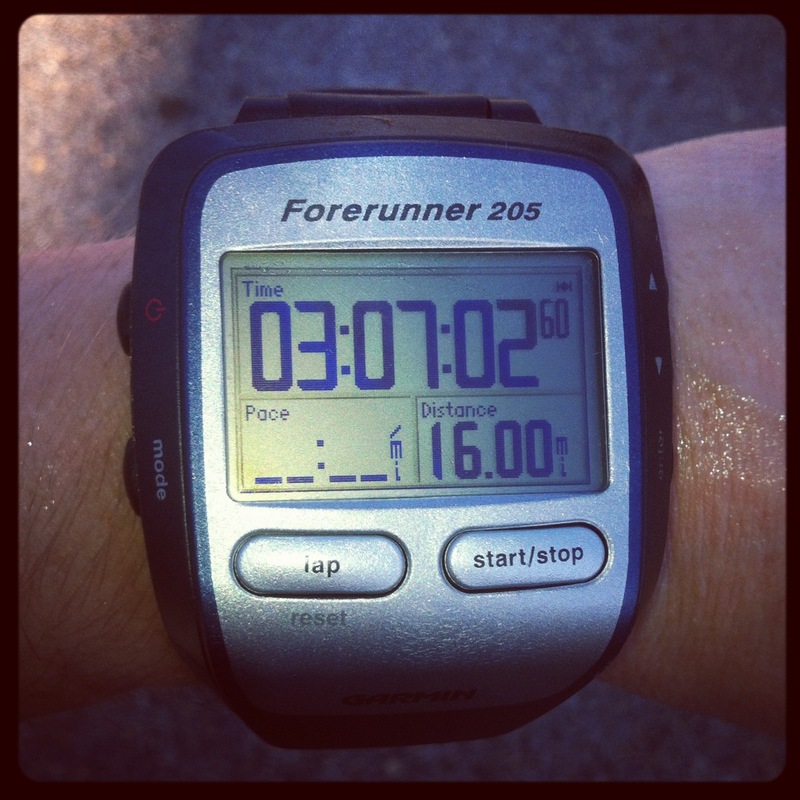 Road Runner Girl: 16 Long, Slow Miles! 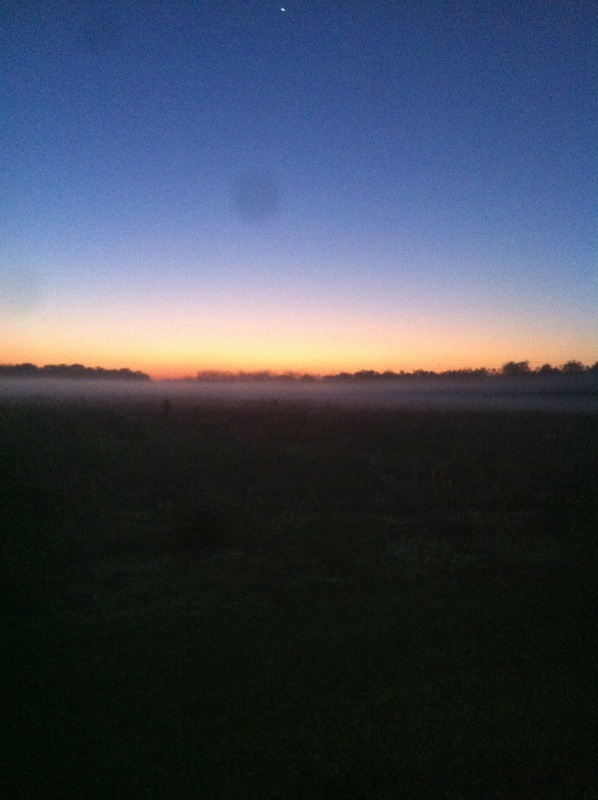 This morning I ran 16 miles!!! 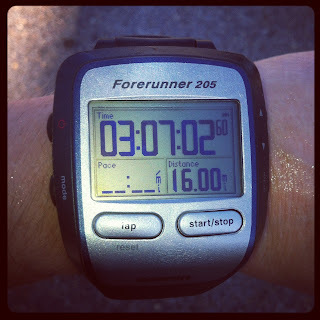 Last marathon training, 16 miles was NOT a good run for me so I have been dreading it all week. And then I get a warning on my phone yesterday afternoon that we would be under a dense fog advisory...it was super foggy on the 16 miler last marathon training too! Great! 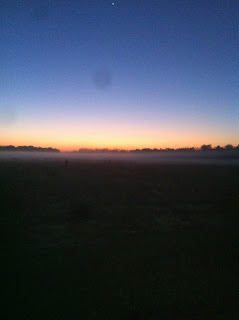 Just what I need...tons of fog when I am going to be running tons of miles! Yay. The alarm went off at 4:30 AM. 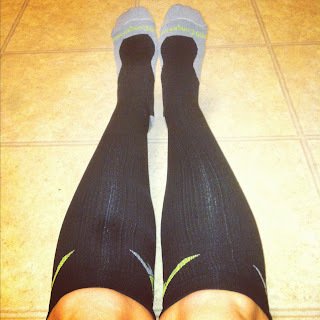 I got dressed and put on my Pro Compression socks for the first time (review coming soon). I was crossing my fingers these were going to help me have a good run! I made a waffle with peanut butter and ate it while I stretched and rolled with my Trigger Point Therapy Kit. Then I grabbed my fuel belt, Gu, water, and Garmin and headed out the door. I was doing one of the water stops so I had to stop and drop the water off before I went to our meeting place. In the car, I sampled another item in my Kona Kase for October. 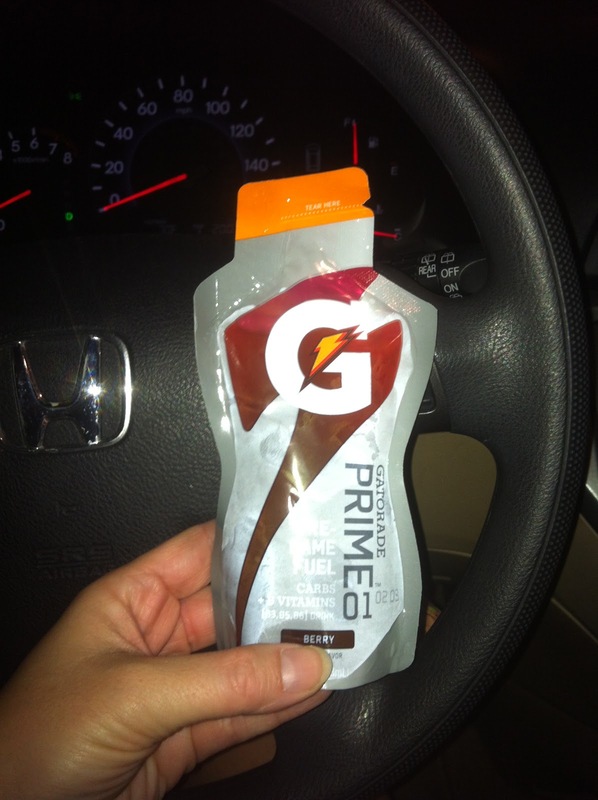 It was the Gatorade Prime 01 and the directions said to drink it about 15 minutes before running. It tasted good but the pouch dug into my lip and it hurt. But the actual drink was pretty yummy..except for when I swallowed some wrong and had a coughing fit lol! The first 4 miles of the run were tough...I'm never warmed up at this point. 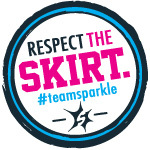 But once we hit about mile 5, I started feeling awesome! The miles started flying by! 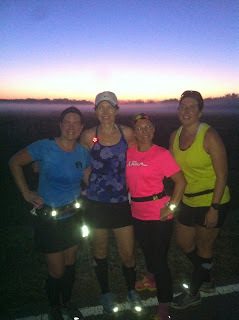 The sun started coming up around mile 7 and we could see the fog rolling in and the gorgeous sunrise!!! Thanks Angela for taking this picture of us! I hate she couldn't get in the pic too. The rest of the run was great. But around mile 14 my legs were super tired. I was ready to quit. I'm sure this is due to my body being so used to half marathons...it was telling me I was supposed to be done lol! But FINALLY I hit mile 16! I did it! And it was a MUCH better run than last marathon training!!!! Yay!!! The run is done and now me and Andy are headed to the University of South Alabama football game! Go Jags!!! QOTD: Have you ever taken an ice bath? Do you think it helps?